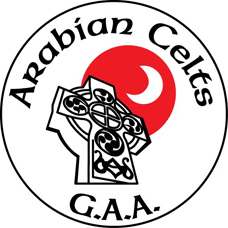 The Arabian Celts GAA club was formed in 2008 after the merging âThe Bahrain Irishâ and the Naomh Abdullah Dhahran club from neighbouring Eastern Province of Saudi Arabia. Based out of Bahrain Rugby Club, near the Saudi Causeway, the Arabian Celts club epitomises all that is great about Gaelic Games in the Middle East â both on and off the pitch â and indeed, was voted All Asia Club of the Year in 2011. Although maintaining a strict âinclusive not exclusiveâ policy, the Arabian Celts have continued to punch above the considerable weight of their regional rivals in the fields of Menâs and Ladies football and a slow but steady trickle of silverware in both codes has made its way back to Bahrain through the years. After a series of heart-breaking near-misses however, the Senior Menâs side finally reached the âHoly Grailâ in November 2014 when they captured the clubâs first Senior Cup title in dramatic fashion in Abu Dhabi. Further expansion of the Arabian Celts GAA club saw the launch of the juvenile section in 2012 and from modest beginnings, this section has grown to a position where it hosted a juvenile blitz featuring some 300 locally-based children in 2015. Not to ignore the small ball form, the Arabian Celts has also teamed up with Qatar GAA to form a hurling team for the ever-improving Middle East Hurling League since its launch in 2013. The Arabian Celts have been heavily involved in the ongoing success of the Middle East League as we know it and were delighted to be chosen to play host launch the first round of league back in 2010 and the opening event of the ladies league the following year. 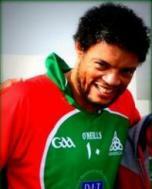 The club has also played an active role in the Middle East County Board since its establishment in 2013, with representatives filling pivotal positions such as Chairman, Treasurer, PRO, Coaching Officer and Irish and Language Culture Officer. As is the case for most GAA clubs in the Middle East â and indeed all over the world â the Arabian Celts are indebted to a number of local businesses and a core group of volunteers that have been extremely loyal and supportive towards the promotion of Gaelic games in Bahrain. Arguably one of the legacies of the Arabian Celts GAA club in its brief history to date has been in the number of people to have been introduced to Gaelic games for the first time. Based on the aforementioned policy of inclusivity, the club has gained a strong reputation for its warm welcome both on and off the pitch, which has seen a host of different nationalities represent the clubs in Middle East competition and further afield. There is also the matter of the Bahrain Gaelic Games â now running for over 20 years â run in partnership with the Bahrain Irish Society, which is widely regarded as one of the most popular events on the Middle East GAA calendar but also one of the biggest annual social events in Bahrain. To contact or find out more about the Arabian Celts GAA club and its activities, contact arabiancelts@gmail.com or check out our facebook page.